Butter. Should you eat it or not? The information about cholesterol and whether it’s bad or good, which fats are “good” for us, and how much we should eat, is all causing a bit of confusion as to what constitutes a healthy diet. Some health and fitness personalities have advocated a high fat, low carb diet; and others, in contrast warn of the dangers of a diet high in saturated fat. 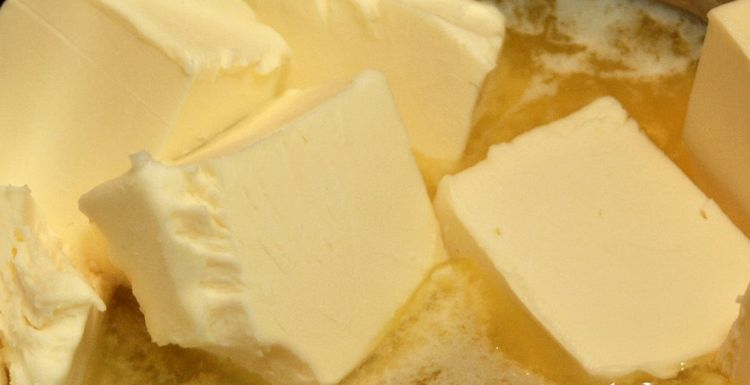 Saturated fats are found in butter, fatty meat, cheese and many processed foods like cakes and biscuits. Other foods which are high in “good” unsaturated fats include the likes of avocados, nuts, oily fish and soya-based foods. The butter debate has been rumbling on for years, but it’s important to remember that as delicious as it is, butter is high in the bad fat. The key with saturated fats is to only eat them in moderation. This is because saturated fats are high in ‘bad’ cholesterol which can cause a heightened risk of heart disease. With ‘good’ cholesterol, found in unsaturated fats, it helps to remove the bad cholesterol. In short, it’s a bit of a minefield, but moderation is key. Butter is fine if you’re not caking it on anything and everything, and it must be in conjunction with a balanced diet and exercise. To have a diet when you’re taking in too much of one food group, or completely cutting out another, rarely has good results, but be mindful of saturated fat intake and keep it to a minimum. If you knew the amount of horrible stuff in dairy (just watch What The Health on Netflix) you'd never touch butter again. Personally I use coconut oil for almost everything now. and don't miss butter at all. I think that a little of what you like is good for you, so prefer to have a little decent quality grass-fed butter than huge slatherings of margarine. Obviously not something to eat in chunks, but a small bit on toast or on a jacket potato just has to be done sometimes!